MIAMI-DADE COUNTY, Fla. - Two people were injured in a shooting Tuesday morning in the parking lot of a Taco Bell in northwest Miami-Dade. 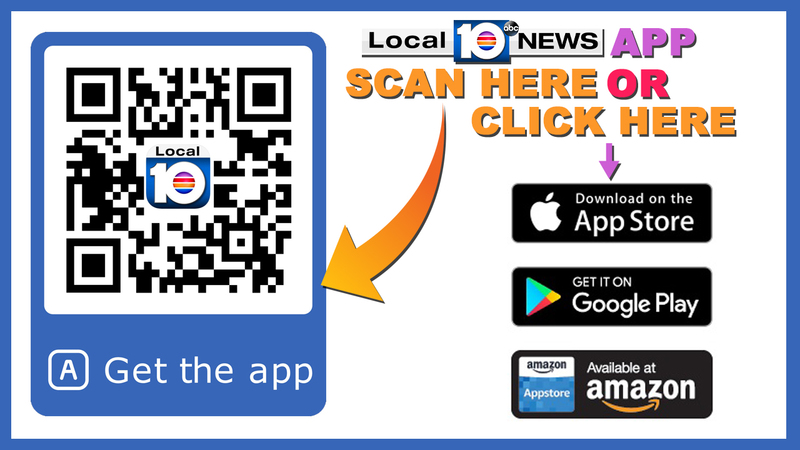 The shooting was reported shortly after 10:30 a.m. in the area of Northwest 183rd Street and 47th Avenue. 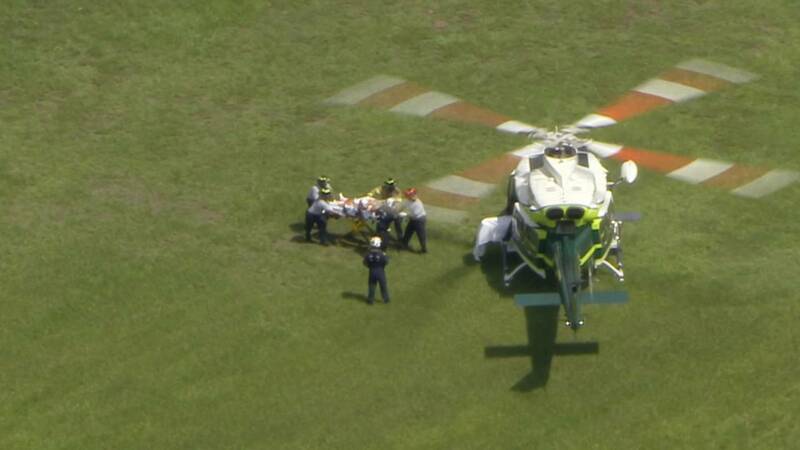 Sky 10 was above the scene as a Miami-Dade Fire Rescue crew placed one of the victims on a gurney before airlifting him to a hospital. A black SUV's windshield was riddled with bullets, and other windows in the vehicle also appeared to have been shot out. A man's white sneakers were on the ground, and napkins were scattered throughout the parking lot. "I saw a black SUV stop, the back window open and just firing out of the car," witness Antonio Gonzalez said. Hazel Miller, who is blind, told Local 10 News reporter Terrell Forney that she heard the commotion. "I heard all the gunshots, but I didn't know what was going on," Miller said. "But she said, 'They're shooting the truck,' and she ran out. All she saw was a smoky gray SUV." Miller said she soon discovered that the victims were her son-in-law and his brother. "They were waiting on us, because we just came from his son's graduation," Miller said. According to police, a black SUV and a white, four-door sedan, were seen driving slowly through the parking lot before shots were heard. Police said the vehicles then fled the scene at a high rate of speed. Authorities said one victim was found inside a black Chevrolet Equinox and the other victim was found several parking spots away. Miller said the family was in separate cars and pulled into the strip mall for food. She said the children and other relatives were inside the restaurant, while the brothers were in the parking lot, one of whom is the father of the children. Authorities said someone inside one of the two suspicious vehicles opened fire before speeding away, leaving behind a trail of bullet holes and shell casings. "Just adjacent to that vehicle, that pickup truck was also struck and again, it goes to show that when you open fire like this with a rifle, bullets start flying in different directions," Miami-Dade police Detective Alvaro Zabaleta said. "God knows where these stray bullets can land." The children's mother said relatives tried their best to shield the children from the chaos. "They're just children and I just want to make sure that they are safe," she said. Authorities said the victims, who are 28 and 29, were airlifted to Jackson Memorial Hospital's Ryder Trauma Center. They are listed in good condition. A motive for the shooting is unknown.